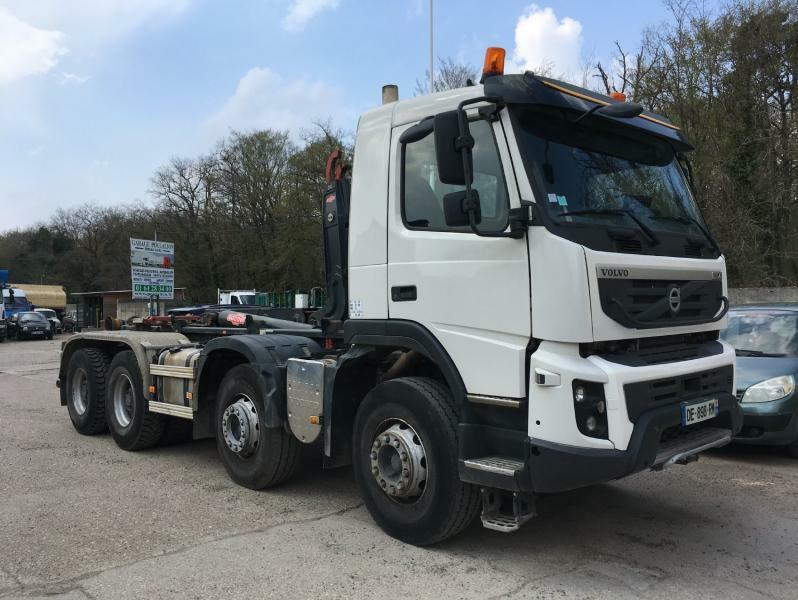 All the offers in the stock of VOLVO FMX hook lift truck are up-to-date as well as in good shape. Engine/driveline: diesel, 460 hp, gearbox: automatic. Wheel formula and suspension type: suspension: spring, 8x4, ABS, semitrailer brake. Cab comforts include cab type: day cab, air conditioner, power steering. The payload is 18880 kg. Exterior measurements: length – 8070, width – , height – .